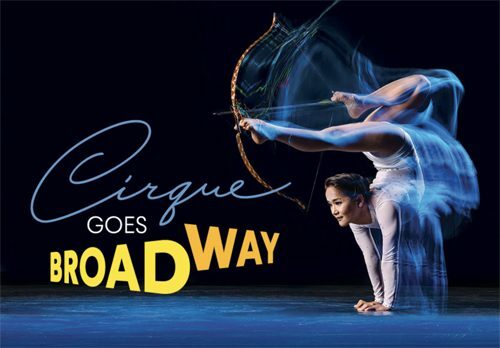 Cirque Goes Broadway. Photo courtesy of the BSO. BSO’s SuperPops season opened this weekend with a dazzling performance. The show married what Principal Pops Conductor Jack Everly accurately described as “gems of the Broadway repertoire,” the stunning vocals of theater veterans Ben Crawford, Ron Remke and Christina DeCicco, and the jaw-dropping acrobatics of Los Angeles-based Troupe Vertigo – all backed by a lively Baltimore Symphony Orchestra. It was truly a surprising and delightful night of entertainment! Time flew all too fast with all the participants in top form, enthralling the audience. Jack Everly introduced each piece with his in-depth knowledge of Broadway history and easy humor. The concert was an excellent mix of the symphony performing solo, the singers performing together or on their own or with the acrobats. The performance certainly brought the ‘WOW’ factor and the audience to its feet! Artistic Director Aloysia and Technical Director Rex Campuis lead the Troupe Vertigo, making its BSO debut. Three men and three women displayed their stunning talents as aerialists, contortionists and dancers. Their performances were breathtaking, especially in the moments when the members of the troupe took to the air using a hoop and beautiful aerial silks to illustrate the songs in artistic movement. Ben Crawford and Ron Remke made a welcome return to the BSO SuperPops, bringing their powerhouse voices to the stage. Remke soared in “Gethsemane” from “Jesus Christ Superstar” and Crawford’s deep, rich voice broke hearts with “Some Enchanted Evening” from “South Pacific.” Both can hold a note like nobody’s business! The men also showed incredible agility and strength. In “Pinball Wizard” from “The Who’s Tommy” sung by Crawford, one of the male acrobats used a gigantic cube constructed from poles that he handled as easily as if it were a small baton. The crowd gave it a thundering applause as they did throughout the concert. The finale was a showstopper. 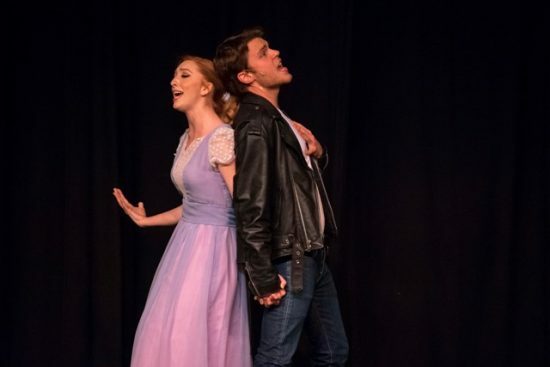 DeCicco, who was also a member of the touring company of “Wicked” (in the role of Glinda), knocked it out of the park in “Defying Gravity” with the rest of the company and troupe. She even got into the rich, green silks and flew up above the stage, recreating the iconic scene at the end of Act I from the musical. This unique and fairly new collaboration of a world-class symphony orchestra, beautiful voices and the “Cirque arts” is a brilliant concept and perfect for all ages. We hope this concept returns to the BSO in the future. The performance certainly brought the “WOW” factor and the audience to its feet! Running time: 1 hour and 45 minutes with a 15-minute intermission. For information on future performances by the Baltimore Symphony Orchestra, please go online.